Have you ever asked by anyone about (.com) and (.net)? Sometimes I get the question like what is the difference between (.com) and (.net). What should I use from two? These are some common questions regarding the domain. But then again, choosing a domain name is extremely crucial for attaining your commercial objects because it can have an impact on your branding and search ranking. Hence, I feel to write something on the matter. First of all, you need to know when these extensions are needed and where to place it. I think you have the basic idea about web hosting and how it works. To establish a complete website, users are usually needed to choose a domain name followed by an extension. There are several types of the domain name to be used. Among them.Com and .net are the most common in use. Initially, it was expected that the company which deals with the commercial aspect would use the.COM extension and the company which deals with the network like an internet service provider, the email service provider would use the .NET. But over the time the distinction has blurred, however, as many websites nowadays use the.COM extension by default with their domain. To give a clear idea about these two extensions, I am briefing a little bit about the matter. The domain name is typically website address what the users type in their browser to access a particular website. For instance, wpmanageninja.com. Now going to the topic which would cover the difference between (.com) vs (.net) extension. Among all of the extension(.Com), and.Net are the two most common and popular domain extension out there in the market. If you now want to buy a domain with dot-com extension, probably you wouldn’t get as it’s not available in the market. You might be suggested dot net extension as an alternative. The .com domain extension was created in 1985 and the domain extension initially was used for commercial purpose as it stands for “commercial”. The dot-com domain extension has gained such a position that fits as a synonymous with the internet. Nearly almost 46% of all registered domain cover .com extension. It shows 82.01 million .com extensions are here in the marketplace. This is one of the reasons for becoming the extension more popular than ever. Because of its popularity, it has become a way an easy source of marketing for any kind of brand. That makes easier for the marketer to promote their expected brand and help their business grow faster. Most of the business persons feel .com extension is the most legitimate-looking platform and buyers show their interest who bears (.Com) extension. The people are more likely to remember the word .com and in some cases, some persons feel internet means .com. 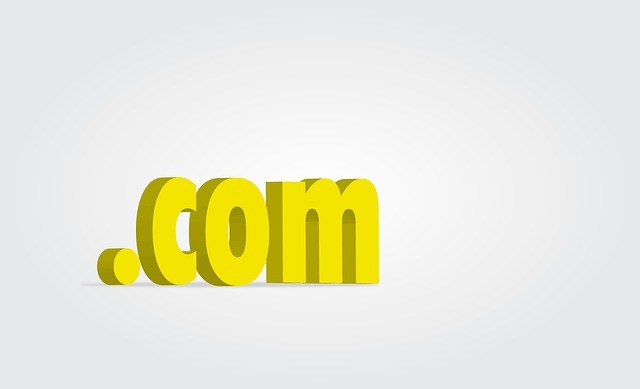 The .com domain extension makes the brands more comprehensive. It’s easier to build a brand with (.com) as the extension is already established in the market. In the case of online presence .com extension is more congenial to use and your target audience is becoming more familiar with your .com domain. Though (.Com) extension has lots of advantages it has some demerits as well. Some of the disadvantages are given below. Due to the popularity, the .com extension is already captured by maximum and that’s why it’s not easy to have the availability of this domain extension. As it gets the popularity it becomes more costly to use. The (.Net) was created at the same time that the (.Com) was created. The .Com extension was reserved only for the commercial purpose, on the other hand, (.Net) was made specifically for business purposes. According to market research by VeriSign, .net is considered the most “trustworthy” of all domain endings. Moreover, as I said earlier that if you are a company based on internet, networking, database hosting )and similar services related, you can use the (.Net) extension. As the name suggests the (.Net) extension stands for “network” and it was made only for the service based company. You can use the (.Net) domain if y0u don’t find any suitable extension under the .com extension. Though the extension was predominantly made for network services still this extension is getting priority after the (.Com) for any purposes as the necessity evolved. Though most of the people believe that (.Com) extension website ranks better than the (.Net) website, but in reality, it’s not true at all. Your (.Net) site will rank as quickly as the (.Com) do. The search engine doesn’t focus on the domain extension rather relevance of domain name. It’s pretty easy to get the domain extension as it’s not that difficult to get (.Net) domain as it’s not as popular as (. Com). As it’s available to get, it’s cheaper than (.Net) extension whatsoever. As (.Com) extension is much more familiar with the business, it might create any problem to your business as list as far as traffic concern. The user might be mistyped by typing (.Com) instead of (.Net) and it could cause a little bit problem initially. For general purpose and niche site, this couldn’t be a great idea for taking the (.Net) extension. Because the site needs to have more traffic to their websites for their big market. For a small niche site it can be used but a larger niche site, it’s not that appropriate. This most important question that comes up with that is that which extension is better for the search engine or will it effect on the search result. The answer is No(. Dot-com) has the prime impact as it’s popular and people are more likely search by it, but ultimately they are not the prime concern for a website. However, the extensions have the only little impact on the website ranks whereas high-quality content can make a big difference in the market. One important thing everyone should focus on that content is the key to your website. No matter how your site looks like and same as for domain extension, after all, that’s not a big deal. But the thing is that if your site isn’t full of rich contents, it matters most. Because at the end of the day, if you don’t have rich contents on your site, your site ultimately goes into nothing. Other than that, comparatively your domain name itself is the most important than the extension. Because your domain name contains keywords that most of the people are more likely to search. The domain extensions have the only little impact on how your site ranks. The only time they can be considered when you want your site to be locally ranked. So get the proper contents for achieving quality traffic and high ranks in the search engine so that your site will be optimized fully. So, it’s not entirely the right concept that domain extension matters the most in the case of search engine ranking and getting the most traffic. 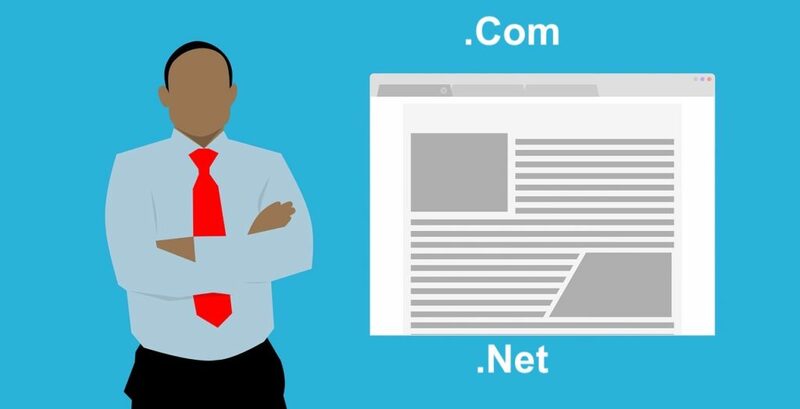 After a close discussion, we can assert that though domain extension plays a vital role in the internet world it’s not a prime concern for any website. There are some issues that lie should be focused mostly. Choosing (.Com) could be the right decision, but it might not be available in the market. In this situation, (.Net) could be a nice alternative. To establish your site you have to give more focus on the contents of your site. Because when your site become popular at that time, people will not concentrate on your domain name or its extension but the content itself. I hope this little snippet helped you to know more the issue. If you have any query or opinion about the context, feel free to let me know about the issue leaving comments in the below.